Here’s a twist on a classic Asian dish. 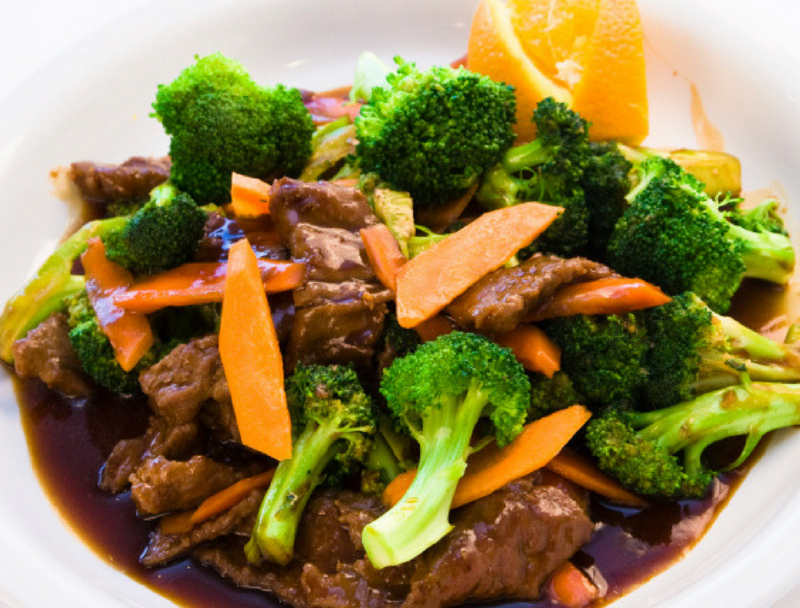 When I was a kid I always requested beef and broccoli on the rare occasion we ordered Chinese takeout (my mom was always kind of a health nut too – which I’m now thankful for). Save this recipe for the next time your kids request Chinese takeout! You can feel good about not adding any MSG or any other mystery ingredients. This just requires simple ingredients that you probably already have in your pantry! Heat 1 Tbsp olive oil and garlic in a large skillet over medium-high heat. Thinly slice the beef and add to skillet to brown. Remove beef from pan to a side dish, and get rid of excess juice left in pan. Heat pan again over medium heat. Add 1 Tbs olive oil when pan is hot. Return the beef to the pan and add the green onions. Add the extra broth if preferred.